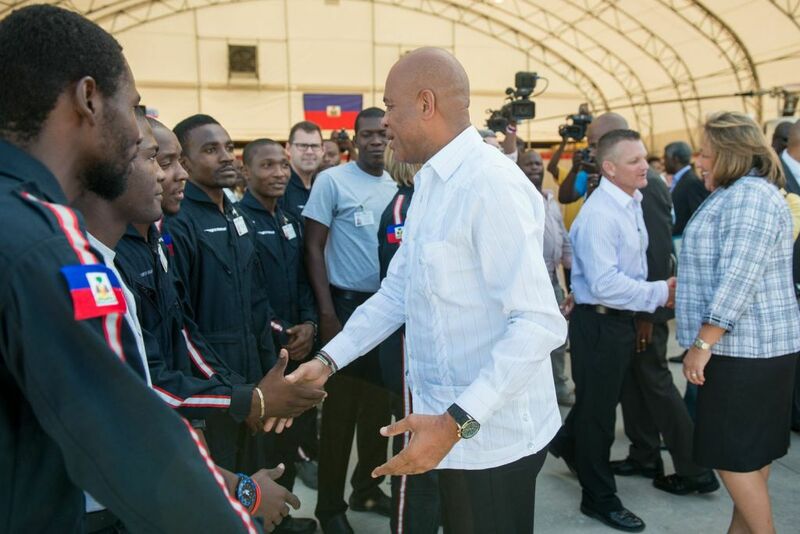 We recently welcomed the President of Haiti, Michel Martelly, to our base. 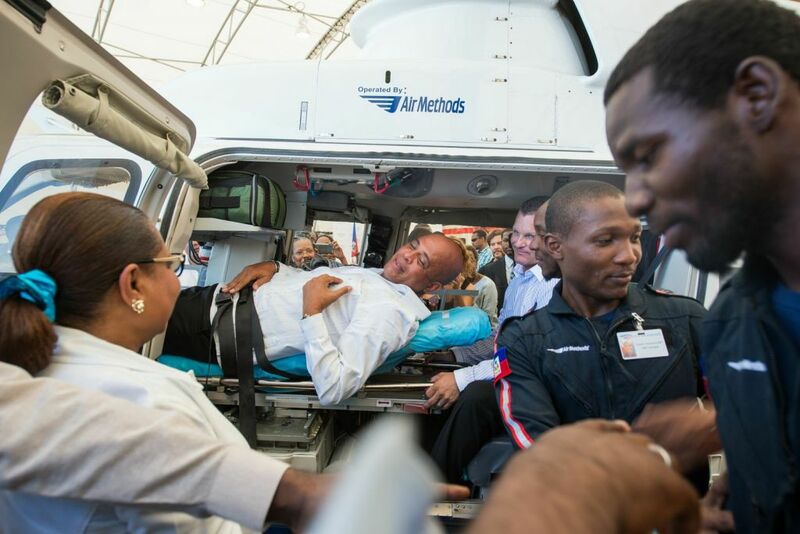 The President gave a brief speech, and even took the opportunity to try out a stretcher on the helicopter! 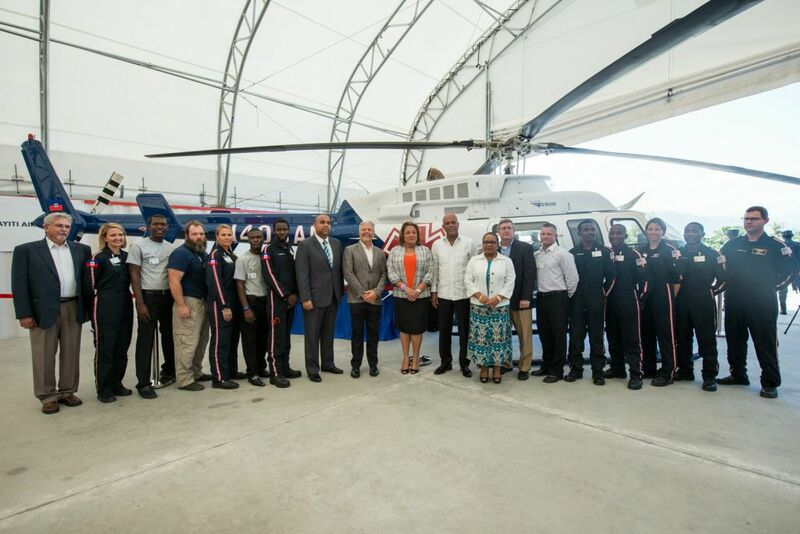 We are immensely grateful for his continued support of this project.